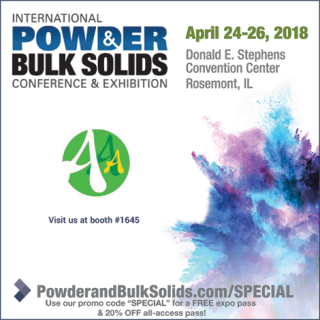 *** International Powder & Bulk Solids - iPBS 2018 is over. We look forward to seeing you at iPBS2020 in 2020. AAAmachine COOL JAPAN mascot girl "YULI"
Air knocker will be demonstrated at booth#1645 Knocker / Impactor 100% operated by pneumatic, to solve any kinds of problems, such as bridging, rat hole, arching, and adhering in the hoppers / bins. This flow-aid device can solve the problem where the vibrators cannot be the solution, especially for fine and sticky powder in toner, ceramics, minerals, food, chemical industries. (1) Using patented 4-fluid nozzle, continuous atomizing operation is possible for hours. (2) Large atomizing capacity of particles in "single micron" size is possible. (3) Keeps exhaust temperatures low. (4) Sharp and narrow particles size distribution can be produced. 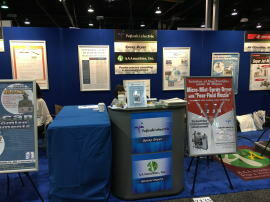 NAFITEC screen mesh to be demonstrated at Booth# 1645 NBC Meshtec Inc. will introduce Nafitec for screen mesh. This technology can be applied to stainless steel wiremesh and standard Nylon screen. 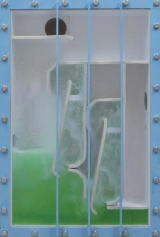 After applying Nafitec treatment, screen can minimize sieve clogging and can increase through-put up to 5.8 times (depending on the powder characteristics). ASADA Mesh. will introduce Stainless steel wiremesh (16 microns opening and Oblong - 25/32 microns) for screen mesh. This technology can be utilized for screening spherical metal powder, such as Solder, Copper, Nickel alloy, Ferrite, Iron, etc., Oblong screen can minimize sieve clogging and can increase through-put (depending on the powder characteristics). Sonic Sifter Tsutsui Scientific Instruments's powder flowability test unit is certified by JIS and is widely used in various industries, such as 3-D printers and others. 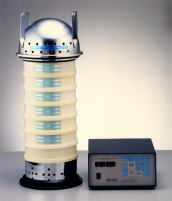 The company also offers sieve shakers, sonic sifters, and bulk density measurement devices. 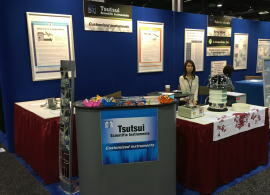 Powder manufacturers have been continuously using Tsutsui instruments for quality control/assurance. The company can customize instruments to meet clients' needs. MITSUMI Diverter Valve, Iris Valve "CHOKE VALVE"- "half action" of normal iris valves (about 90-degree rotation), can close/open the valve. As a result, air cylinders can be used for automatic operation. MITSUMI Iris valve can decrease total system cost because of no use of motor valve. Cloth end does not rotate. Rope tightens the cloth chute by squeezing a hopper-type chute outside with a rope. Mitsumi Diverter Valve features the following 2 points. 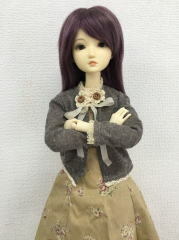 (1) Moving cloth can make self-cleaning when activating. (2) 180 degree rotating air cylinder can realize powder flowing chute without creating valve touching face. 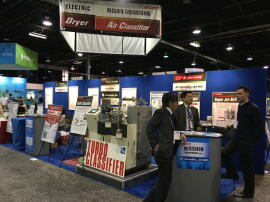 Turbo-Classifier TC-15NS will be demonstrated at booth #1355. 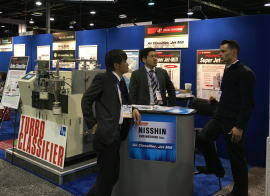 Nisshin Engineering Inc. is a AAA-rated powder-handling equipment manufacturer in Japan. AAAmachine Inc. is the U.S. marketing/technical agent. 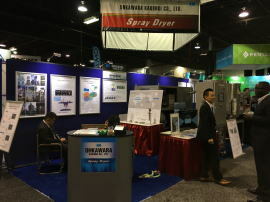 Main products include the Turbo-Classifier(a micron order air classifier), the AeroFine Classifier (a submicron order air classifier), the Super Jet Mill (jet mill), Super Rotor mechanical mill, and Dispa-Mue-R/PDSL (dry powder sprayers and dispersers). 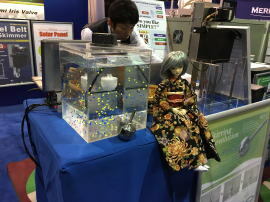 Sugino Corp.will introduce wet milling & Nano dispersing device at this show. It is ideal for the R&D of super fine particles and emulsions. 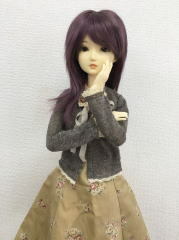 This model is suitable for research and development in the nano-field. 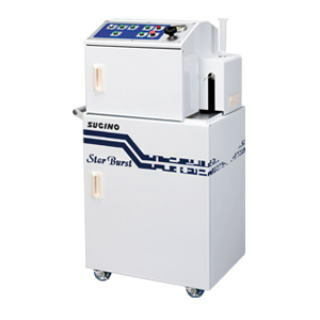 Star Burst Mini is a wet-type micronizing device to disperse, emulsify, comminute and delaminate particles by collision into a ceramic ball using pressures of 245MPa (2.450 bar or 35.525 psi). Osaka Gas Liquid has 2 separate facilities for food and plastics. 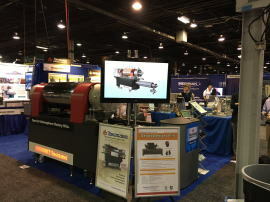 Custom Processing Service is available in Des Plaines, IL. 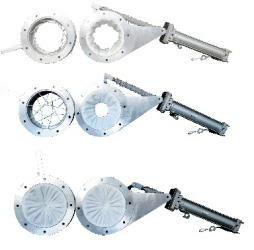 From mm order to the submicron level, from foods, metals, rocks, slag, toners, and carbon to powder coating, and from heat-sensitive to abrasive powders, AAAmachine handles custom classification of every type of material. 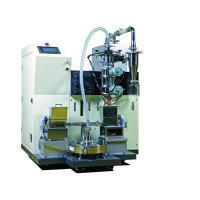 AAAmachine meets all needs for manufacturing ultra-fine powders, attaining extremely narrow particle size distribution. And by utilizing a world-class classifiers, it can handle classifying various powders from mm order to submicron/nano-meter level. 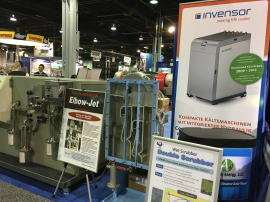 Chilled water from hot water INVENSOR introduced Adsorption Heat Pump (AdHP) Chiller LTC30-ePlus- 35KW (10RT, 120,000 BTU/hr) COOLing capacity ( 901kb), utilizing 65 - 85 degree C (149-185 degree F) hot water-AQSOA(TM)inside, This can produce chilled water directly from hot water only. Electricity is used only for control & water flow. This chiller unit uses waste heat or solar hot water and contributes to environmental sustainability through reduced CO2 emissions. 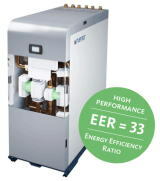 Using water as the refrigerant, this next generation chiller boasts a system COP (Coefficient of Performance) of 10. (COP=10 means 30 kw Cooling capacity can be acquired from 3 kw electricity.) No Freon, no Lithium Bromide is required. ACO offers dust and oil remover for dry/wet. 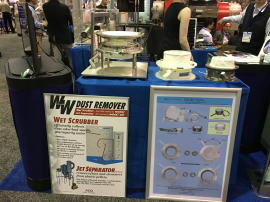 Wet scrubber is dust/odor remover. Double Scrubber can remove fine powder down to 1 micron. Jet Separator, a secondary air-introducing-typepatented dry dust remover, is used in pneumatic line. 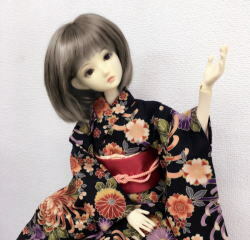 BJD's best feature is that hands/elbows/shoulders, legs/knees/feet and neck can stop at any position freely. Dust switch/dust monitor is also available. 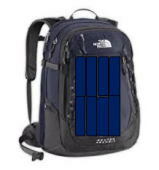 Solar panel and power bank will be demonstrated at booth#1645 ABL(Advanced Blazer Limited) introduced miniature solar panel for small equipment driven by DC motor in addition to Back-Pack solar panel. Solar panel is manufactured by Sun Power in USA and cut/assembled in Asia. Panel size: 11" x 5-23/32"
Battery Charge Current: is 1000mA under 1000Lux (Clear Sunlight). 1000mA means smart phone (iphone 6, etc. )can be fully charged within an hour. 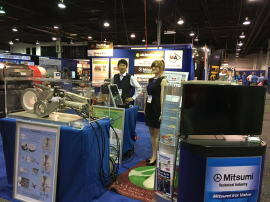 .MATSUBO Corp. will demonstrate Elbow-Jet (an air classifier to produce three multiple fractions at one time) Elbow-Jet classifier is a dry processing classifier that was designed on COANDA effect. It mainly handles fine raw materials ranging from 0.5 to tens of micrometers, and can perform precise separation as well as simultaneous separation to 3 fractions (Fine/Middle/Grit). 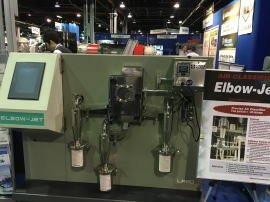 The Classifier has no moving parts and it is strong advantage to abrasive, sticky, or fragile feed materials. 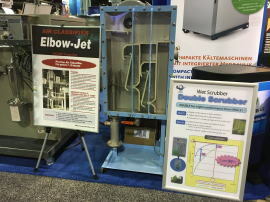 Elbow-Jet Air Classifier can be scaled up from small to larger-sized models with same classification performance. EJ-L3 laboratory service is also available. (1) Possible to classify powder with very fine screen opening size. As screen pulsation prevents screen from clogging, difficult powder can be classified. (2) Agglomerates are disintegrated by rotating blades. Soft lumps of agglomeration can be disintegrated by rotating blades during classification process. (3) Easy dismantling and cleaning. 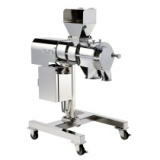 Turbo screener is designed to meet GMP specifications. "MI-MODE" --- Machinery database system at nominal initial cost. Instead of having the own server, standardized software "MI-MODE" is used on line. Multiple language is available as standard - English, Japanese, Spanish and Korean. More language will become available soon. Ticket service (for telephone marketing/service call), parts data base, component module are also available. 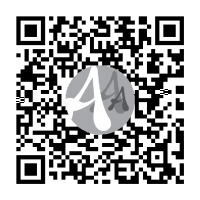 AAAmachine Japan Inc. is providing 2D barcode service with special design in it - "QR DeSign". QR code is now used in USA as well as Data-Matrix, PDF417. "QR DeSign" is visibly original 2D barcode to be used for mobile phone service. It is best marketing tool for food traceability, corporate ID/promotion, store POP and digital signage. The only complete Global Database for worldwide traceback and traceup recordkeeping and documentation of agricultural products with Point-to-Point Traceback™ for each individual Commodity/Entity in just seconds. You can use this software at NO initial/maintenance charge. Data usage fee is $0.55/data. 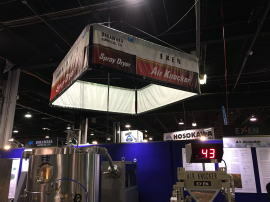 APPIE is the only Japanese professional organization in the powder and particle processing industry composed of industrial corporations and academic societies. We contribute to the advancement of the powder industry and technology. 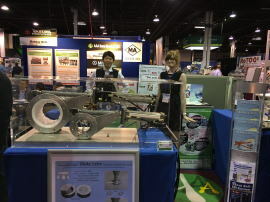 APPIE hosts and organizes POWTEX TOKYO, the largest international powder technology exhibition in Asia, as well as POWTEX OSAKA. for utilizing waste heat or solar hot water) - Thermal driven chiller, no compressor is used. 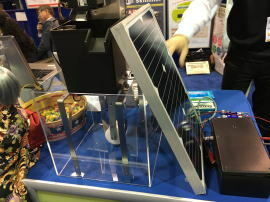 Miniature Solar Panel from ABL solar can work with Back pack and ACO Oil Skimmer. 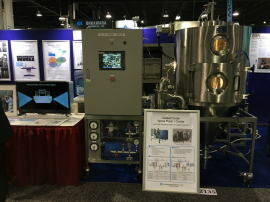 iPBS (Process Technology for Industry) provides a full range of processing technologies, products,equipment, systems and services conveniently located in dedicated events focused on powder and bulk solids processing, food process, chemical processing, pharmaceutical processing, and packaging solutions for the processing industries. 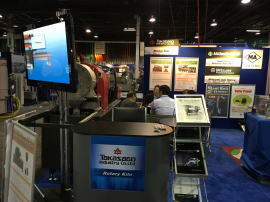 You are welcome to visit our booth for free by pre-registering in the following page. Please click the above e-coupon for saving $95 registration fee. 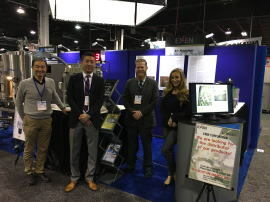 AAAmachine, Inc. is happy to assist this Powder Show international visitors to make an appointment at any exhibitor's booth no matter if AAAmachine is marketing that exhibitor company or not. International business matching is our corporate goal. We are more than happy to assist all international guests to find the right equipment. 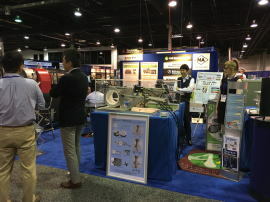 At the same time, all exhibitors should be able to meet and find the potential customers. All equipment which is successfully sold in the country must have the reason to be selected. If the features of equipment match the customer's needs, it should be found even from a different country. Each equipment has different features. AAAmachine is technical and marketing agent of these companies in US. 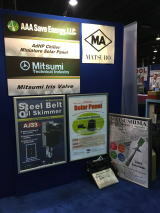 If you have any questions or equipment inquiry, please call AAAmachine at 800-996-0070 or e-mail us. 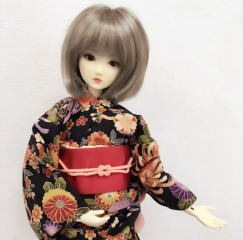 If you have not made hotel reservation yet, please do it now. You can make a very close hotel reservation from the following iPBS official site at $139-$189+13%tax+surcharge. These discounted Hotel rates are available through the Book online. Please note: these discounted rates are NOT available directly through the hotels reservations lines, and must be made online or by calling the Housing Hotline at 1-800-759-5549.